Lask has always had a passion for music. After playing instruments and writing music for 5 years, she started producing at the age of 18. After spending years in the studio with very little social interactions, she started to feel detached and felt there was a bridge needed between her production life and her social life. She started Djing at events in 2016 and quickly climbed up the Melbourne DJ circuit. In 2017 she released her first Ep with Smash Bang records titled ‘Aurora’. In the same year she dropped her eclectic, soft yet driving single ‘Charlie’ on Suckmusic. In 2018 she featured on Recovery Collectives VA ALLIANCE with her track ‘D-EQ’, In 2018 she released her second Ep on LO-FI-45 titled ‘Instincts/Warriors’ which showcases her maturing sound. 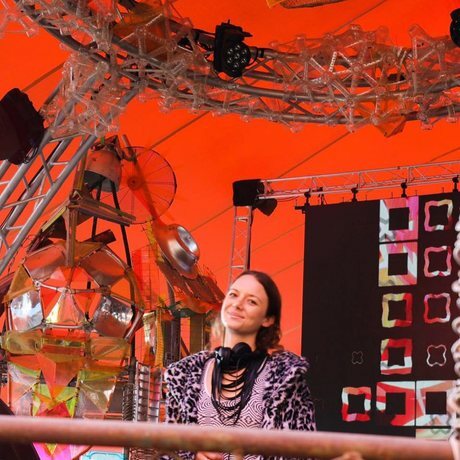 In a short amount of time She has played for the likes of; Secret cinema, Dj Lion, Morten Granau, Upgrade, Tim Englehardt, Exrtawelt, Alex stein, Guy Mantzur, Hernan Cattaneo and more. In July 2018 Lask’s path took her to the heart of techno AKA Berlin. Where she now is living and plays as a resident for an all female collective called PRIZM at Klunkerkranich. Whilst in town to play a host of shows including Rainbow Serpent Festival and Beach Festival New Caledonia, we grab Lask into the studio for a chat about her gig adventures, teaching DJ skills to girls and gender diverse young people, and to spoil us with a special guest mix.